Update: FMCSA published a notice in the Federal Register on January 19, 2018, granting the waiver featured in this news article. This waiver is effective January 19, 2018, through April 19, 2018. The Federal Motor Carrier Safety Administration (FMCSA) has posted a notice granting a 90-day waiver from the electronic logging device (ELD) mandate for certain rental vehicles. According to the notice, the waiver was issued in response to a request from the Truck Renting and Leasing Association, Inc. (TRALA) and will go into effect once it’s published in the Federal Register. The waiver from the federal ELD mandate in 49 CFR 395.8(a)(1)(i) will apply to motor carriers and drivers operating property-carrying commercial motor vehicles (CMVs) that are rented for a period of up to 30 days. The waiver will be in effect for 90 days beginning on the date it is published in the Federal Register, which is anticipated in the near future. The new waiver has no effect on another ELD exemption issued to TRALA in October 2017 which applies to property-carrying CMVs rented for 8 days or less. That exemption will remain in effect for five years. Federal law allows the FMCSA to issue waivers from its regulations for up to three months if the agency first determines that safety will not be compromised. Use of the waiver is voluntary, and motor carriers and drivers must adhere to the terms and conditions in order to take advantage of the waiver. Is effective for 90 days after publication in the Federal Register. 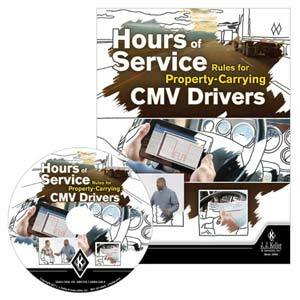 Covers rental of any property-carrying CMV for a period of 30 days or less, regardless of the reason for the rental. Evidence that a carrier has replaced one rental CMV with another on 30-day cycles or attempted to renew a rental agreement for the same CMV for a period beyond 30 days will be regarded as a violation of the waiver. Requires carriers and drivers operating under the waiver to comply with all other applicable requirements of the Federal Motor Carrier Safety Regulations, including the preparation of paper records of duty status (RODS) for operations which are currently considered to be subject to the hours-of-service rules and the record retention requirements associated with those RODs and supporting documents. To notify FMCSA within five business days of any accident (as defined in 49 CFR 390.5) involving any drivers operating under the terms of the waiver for their company. Specific data elements about the crash must be provided as prescribed in the notice. Drivers and employing motor carriers are expected to maintain their safety records, and FMCSA will take steps in the event safety problems are discovered. This includes revoking the waiver for any interstate driver or motor carrier not complying with the terms and conditions. On October 11, 2017, FMCSA released an additional exemption to the ELD mandate, also based on a request from TRALA. It allows carriers to operate property-carrying CMVs rented under a “rental agreement” of 8 days or less without having to install an ELD or automatic on-board recording device (AOBRD) in the vehicle. Drivers using the rented vehicle during the 8-day period are allowed to use paper logs rather than an AOBRD or ELD. The exemption is in effect through October 11, 2022.